This program is FREE! Upon completion of the program you will earn a small stipend for your time & commitment, gain community service hours towards graduation, and receive a certificate of participation from EYA. 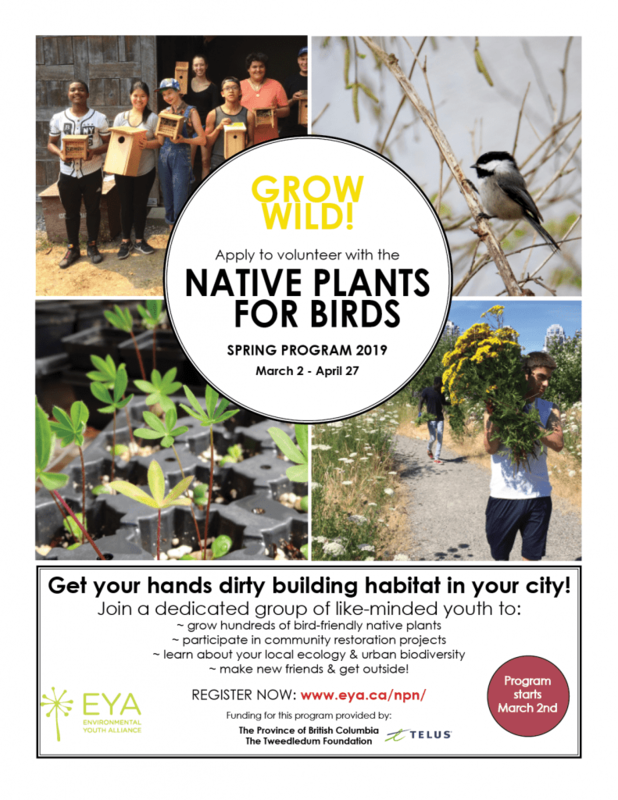 There are 2 opportunities to join this program: As a Program Participant (youth aged 14 – 25) or as a Program Mentor* (youth aged 17-25, either alumni of a past EYA program or older youth with some relevant experience). *NOTE: Program Mentors will act as leaders during the program, practicing leadership skills and assisting the EYA leaders to deliver the Wild Mind Program. Program Mentors will also commit to meeting for 1 leadership training and orientation day at the garden (meeting time will be 9am on Monday, July 16th before the program starts), as well as a final volunteer session program wrap-up (on the last day of the program).